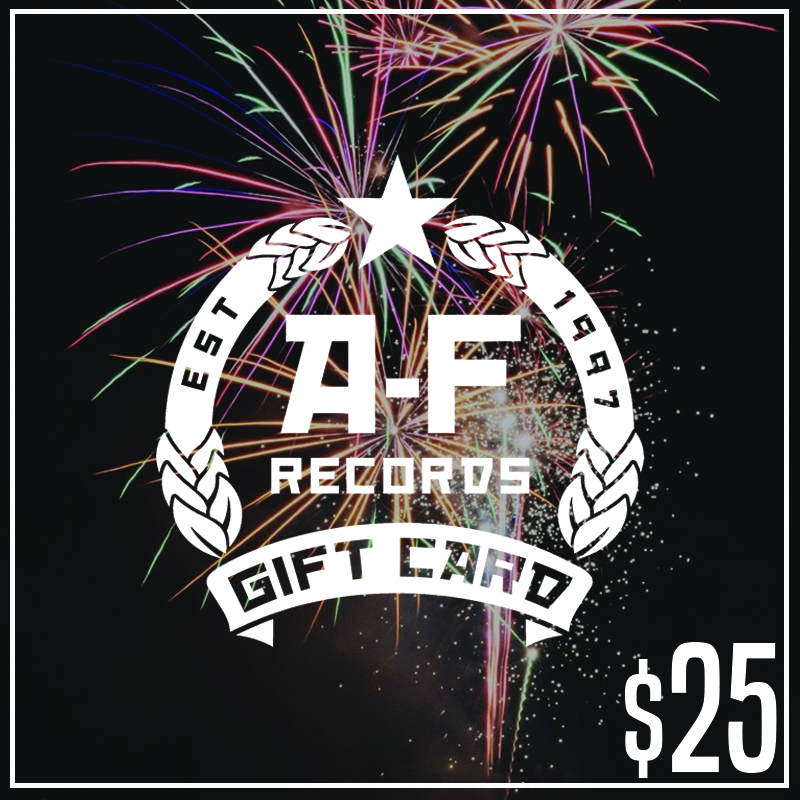 This A-F Records gift card is redeemable for a flat rate of $25 to use during checkout in the A-F Records Online Store! 2. Shop for items in the A-F Records Online Store. 3. Before checkout in the shopping cart, click the "Gift Card" button and enter the redemption code of your gift card. 5. You will see the value of your Gift Card deducted from your purchase total! If you decide you don't want to apply the code you entered, simply click "Remove" and the Gift Card value will be removed from the total, but your card value will remain to use until a full transaction has been made. **If you wish to send a Gift Card to someone else, simply input their e-mail address in the "Confirmation E-Mail" field for them to receive the redemption code.